A win in the der Klassiker and Bayern could wrap up their sixth title in a row six matchdays before the end of the season. It would be a significant achievement for Bayern head coach Jupp Heynckes, who took over Bayern on matchday 8 when Bayern were five points behind the league leaders Borussia Dortmund. Heynckes quickly stabilised the side and now sits 18 points ahead of Borussia Dortmund in the standings. The Yellow and Blacks had a phenomenal start under Peter Bosz but then did not win a match for almost two months, and Peter Stöger on matchday 15 replaced Bosz. Although Stöger stabilised the situation at Dortmund Bayern’s relentless record in the Bundesliga – Heynckes only suffered two defeats throughout the season – meant that a win for Bayern in der Klassiker and failure for Schalke to win their game would wrap up the title for the Bavarians. 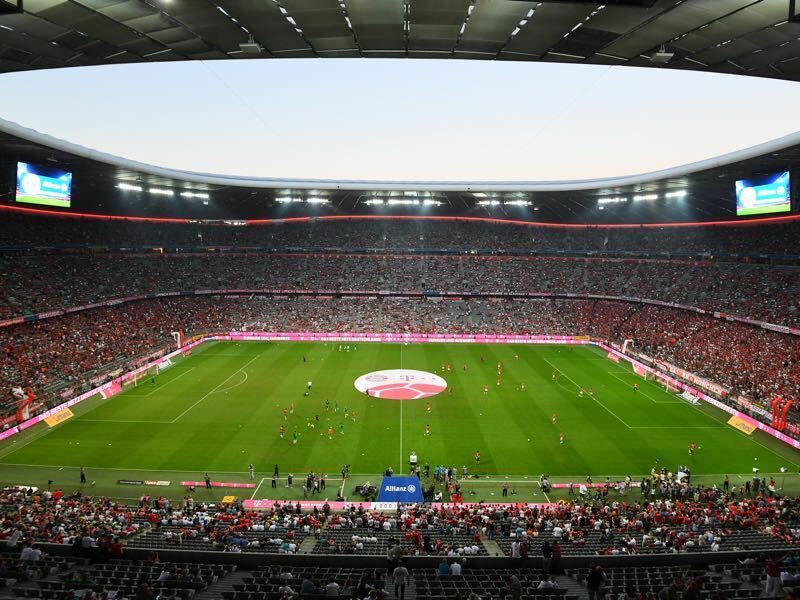 Winning the title in front of their fans and against their biggest rival of late would bring enormous satisfaction to the Bayern bosses and the club’s fans. But although a Klassiker win is prestigious, the question has to be asked on whether Bayern will go into this game risking it all. Unlike Dortmund, Bayern are still involved in European action and will face Sevilla in Spain on Tuesday. With this in mind will Bayern go all out against Dortmund knowing that they have a crucial Champions League match on their hand just two days later? Bayern are one of the most professional sides on the planet and take every game seriously. Furthermore, with many key national team players being released early from duty – David Alaba and Thomas Müller were sent home early – and the South Americans Arturo Vidal and James played in Europe – Chile in Denmark and Colombia in London – Bayern somewhat benefited from the international break. But professionalism or not the Champions League will be the main focus until the end of the season, which could benefit Dortmund on Saturday. While Bayern could wrap up the title in any of the following games Dortmund, in fact, need the points in the race for the Champions League spots. Currently, third the gap to the non-Champions League spots is just four points and could shrink to just one point depending on this weekend’s results. A victory, on the other hand, could significantly open up the gap allowing Dortmund’s bosses to focus on starting planning for the new season – significant changes in all areas of the squad are expected. On the injury front, both clubs will likely miss key players. Bayern München will likely rest Jérôme Boateng, who suffered a knock in the friendly against Brazil, and Dortmund will be without Marco Reus. The Dortmund attacking midfielder has only recently returned from his ACL injury and is struggling with some muscular issues, which is common among players coming back from a lengthy injury layoff. Christian Pulisic or Maximilian Philipp could come in to replace Reus. In the meantime, Peter Stöger explained to the media on Thursday that he will not field a defensive tactic against Bayern. Instead, a regular tactical lineup is expected as Dortmund will play in their usual 4-2-3-1 formation. With Müller and Alaba somewhat rested and both Ribéry and Robben retired from their respective national teams Bayern could start all four. But with the Sevilla game in mind, some slight rotation could be expected. The Sevilla game, in particular, could be the defining difference in this game. 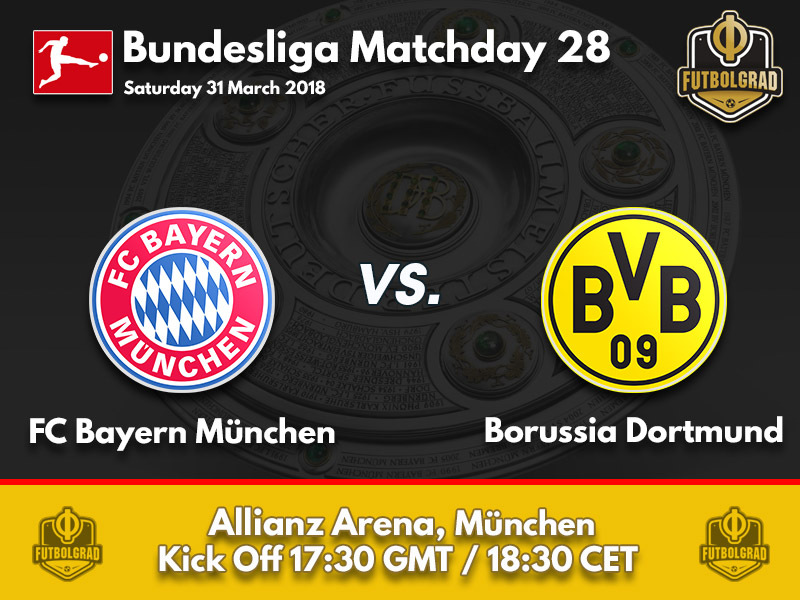 Whereas Dortmund need to win Bayern could be slightly distracted, which could provide the small margin that could give the Yellow and Blacks the upper hand in what will be a tight affair. Robert Lewandowski continues to be in the news. The Bundesliga’s top scorer with 23 goals was once again linked with a move to Spain by the Spanish tabloid AS. 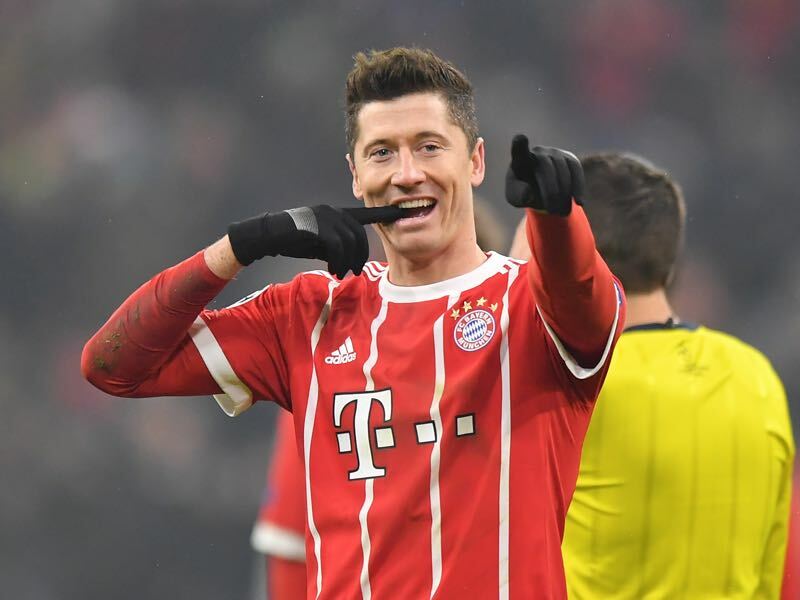 Bayern’s CEO Karl-Heinz Rummenigge, however, once again told the media during the week that Lewandowski will not be for sale. At the same time, the Polish international told the German magazine Spiegel last year that players could always push through a move. The recent rumours could, therefore, be an indication that Lewandowski wants to leave, or that he wants a pay raise at Bayern. It is after all a tactic that has worked for him in the past. The former BVB forward was refused an early transfer from Dortmund to Bayern in 2013 and was, therefore, given a pay rise by the Dortmund bosses. 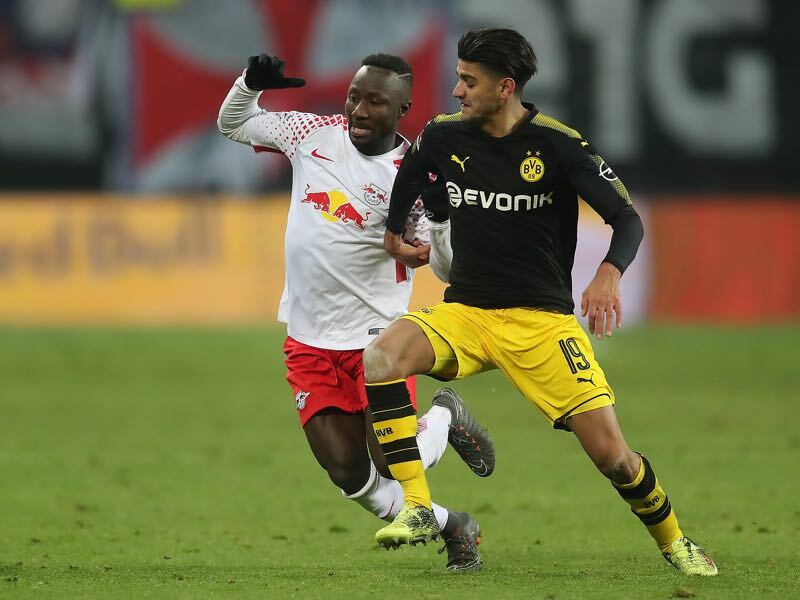 Slowly but surely Mahmoud Dahoud is fulfilling the potential the Borussia Dortmund bosses saw in him when they signed him last summer for €12 million. Similar to his predecessor Ilkay Gündogan Dahoud simply needed time to integrate himself in the squad. In the first half of the season, he only played 31.2% of all possible minute, a number that has improved to 43.6% since January. “Mo is more and more become the metronome in our midfield”, sporting director Michael Zorc told kicker on Thursday. With his form improving der Klassiker on Saturday will become a significant test for Dortmund’s young midfielder. Bayern conceded five of their last six goals in the first half. Dortmund conceded six of their last seven goals after the break. Sven Ulreich and Roman Bürki, together with Schalke’s Ralf Fährmann, lead the league with ten clean sheets. Ulreich, however, has played five games less than Bürki. Bayern’s record at home against Dortmund is W29 D10 L9.